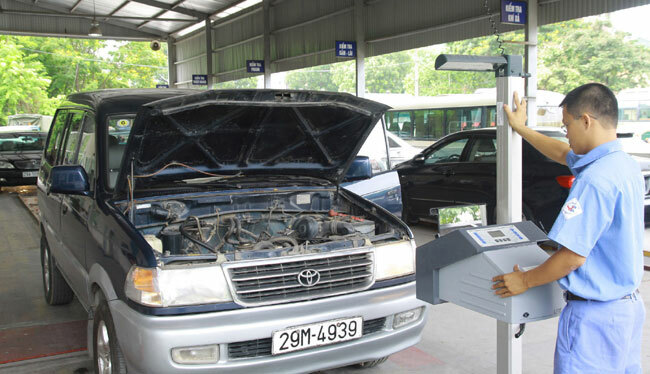 HA NOI (VNS)— Heads of Viet Nam Register Agency under the Transport Ministry will be forced to resign if shortcomings relating to issuing vehicle registration certificates for substandard vehicles still occurred by year-end. Minister Dinh La Thang remarked at a meeting to announce the conclusions of a recent random inspection conducted on nine vehicle registration centres across the country. Inspectors from the ministry discovered that the centres still issued vehicle registration certificates for substandard vehicles. Thang pointed out that the shortcomings in issuing vehicle registration certificates seemed to ‘happen' in a systematic manner. For instance, vehicle owners were found to only bring legal documents without their vehicles to get vehicle registration certificates at the centres, he added. The staff at the centres received about several hundreds of thousands of dong for ignoring vehicle checks and issuing the certificates, he claimed. This practice has led to thousands of vehicles becoming ‘street evils" by causing traffic accidents and affecting socio-economic development, he remarked. In a related move, Thang recently sent an official document to the register agency ordering it to work with all transport departments to run hot lines before March 30 for receiving complaints and dealings with any shortcomings at the registration centres nationwide. In the short term, images of the trucks were meant to be ideally enclosed with the vehicle registration certificates, so that the traffic police can easily identify the type and quality of trucks they are dealing with, he decided.In due course of time, the agency also has to tighten control on the quality of sleeper coaches.